Editor’s Note: It’s an annual tradition for TLNT to count down the most popular posts of the previous 12 months. We’ll be reposting each of the top 25 articles between now and January 2nd. This is No. 19 of 2016. You can find the complete list here. Caring for your culture is not an annual event or even a monthly event. Just like sleeping and eating, caring for your culture is a daily activity that requires an investment of your time and attention. Caring involves Clarity, Accountability, Relationships and Esteem. C – Clear behaviors (actions speak louder than words) and values that are consistently modeled by the leadership. A – Accountability for all. Leaders do not get a pass; there are rewards and consequences for adhering to or violating culture. R – Relationship between leaders and employees. Culture is built through shared experiences. It comes from the stories told, the lessons learned and relationships with the people around us. E – Esteem This word means to recognize the worth of a person. Esteem is a fundamental view that’s necessary for leaders to care for culture. If you do not value your people, it’s difficult to care for culture. As a leader, when caring for your culture, you must explain and demonstrate the behaviors of the culture you want to create, hold people accountable for adhering to the culture, build relationships with employees and hold them in high esteem. Here are 10 thoughts about caring for culture and why it’s absolutely essential. 1. Leaders must deliver results. When a leader understands culture and uses it to deliver on their strategy, they will accomplish radically better results. 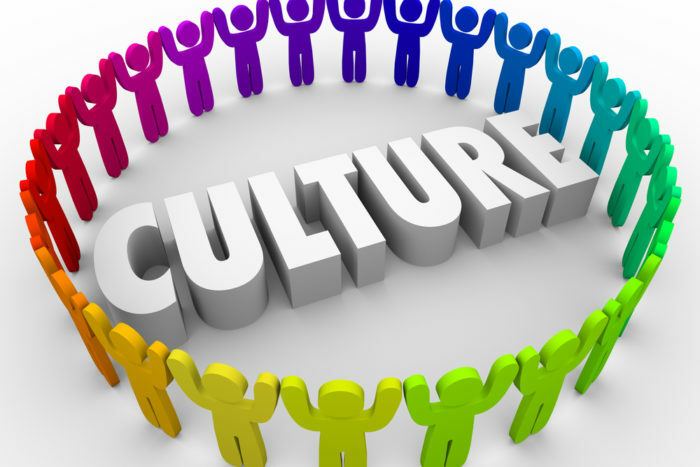 Culture is always in service of the business results accomplished through the strategy. Culture ignored puts results in peril. If you don’t understand and care for your culture, your ability to deliver results is significantly diminished. I worked with a large financial services company in New York. Over the course of four years they turned over an equivalent number of leaders in the SVP of HR role. While each leader was a unique leader, what they shared in common was a complete miss of the culture signs that ended up being stumbling blocks. They each arrived with mandates from the CEO and lots of great ideas. The ideas were not bad, but each leader tried to implement them the same way he did at his previous company. Without understanding the culture and tailoring the approach to the new organization every leader was doomed to failure. The culture fought back fiercely to prevent the changes each leader needed to make. Fortunately, the current SVP is thoughtful and tuned into the uniqueness of the organizational culture. 2. Culture amps up or annihilates employee motivation. According to Bersin by Deloitte, 95% of employees say that culture is more important than compensation. The science of motivation has repeatedly proved that money is not a primary motivator. Whether it’s Daniel Pink’s trio of autonomy, mastery, and purpose or Rosabeth Moss Kanter’s troika of mastery, membership, and meaning, culture will enhance or diminish these motivators. Create a culture that supports these motivation essentials and your motivated employees will thank you with increased productivity. 3. Culture attracts the right people. A well-defined and cared for culture makes an organization a talent magnet for the right people. The opposite benefit is that it also repels the wrong people. Caring for culture makes talent management’s job easier by serving as a pre-screen to get the right people to apply. 4. An effective work culture is foundational to unlocking a company’s growth. The Katzenbach Center study shows that 84% of the participants believed culture was critical to business success. Why not pay attention to culture and activate a business lever that costs you nothing? This free lever can help you to increase productivity, innovation, creativity and more. 5. If you don’t control culture, culture controls you. In Edgar Schein’s words, “The bottom line for leaders is if they do not become conscious of the cultures in which they are embedded, those cultures will manage them. Cultural understanding is desirable for all of us, but it is essential to leaders if they are to lead.” How can you be in charge if you are not in control? 6. Culture serves as a differentiator and a competitive advantage. Culture is your secret sauce. Did you know that Southwest Airlines was not the first low cost airline to focus on fun? Southwest’s founder Herb Kelleher studied and copied the strategy of California-based Pacific Southwest Airlines. PSA’s slogan was, “The World’s Friendliest Airline.” Herb took PSA’s strategy and with laser-like focus on fostering a specific culture at Southwest, he created an airline that both customers and employees love today. 7. Culture supports the success of your strategy or diminishes its impact. Your culture will not eat your strategy for breakfast and lunch or dinner, but it is the accelerator or roadblock to your success. Look at the crash and burn failure of Ron Johnson at JC Penney. He was responsible for a strategy shift (a major rebrand), which later led to company shares declining 51%! The culture was not amenable to the changes he wanted to make despite his success at Target and Apple. Care for your culture and beware, it can bite! 8. Strong culture requires fewer rules. When everyone knows what game they’re playing, their position and role responsibilities, and how we win, employees are free to make it happen. Recently, I worked with a leadership team that was struggling to get various teams aligned. They were embarking on a culture initiative to more clearly define their culture and understand how work gets done, people get managed and money gets spent. What they came to realize was that their shifting culture had left the staff with such confusion that people were either in a holding pattern or stepping on toes because they didn’t know the rules of engagement. The leadership worked to define and align the management system for the entire organization and have already seen people feel empowered to get work done rather than focus on rules. With all the effort and energy spent measuring the employee engagement, little has changed. Culture is a better measure and the right focus for leaders to deliver business results. Culture trumps engagement because it provides a more complete picture of the organization. 10. Culture is one of the top reasons that M&A initiatives fail. Since this is a critical growth strategy for many organizations, it’s imperative to care for culture in a way that facilitates integration success. I am working with a technology company whose leadership team recognized that their culture is not “acquisition friendly.” The CEO is intentionally focusing on the culture, doing an assessment and planning an intervention to prepare them to be successful when they are ready to acquire. Whether it’s pre-acquisition preparation or incorporated into the integration playbook, culture care is a critical success factor for M&A. This article originally appeared on Culture University.